If you are dreaming of eloping to Italy, why not think about an elopement to Tuscany? Tuscany is one of the most picturesque regions of Italy. 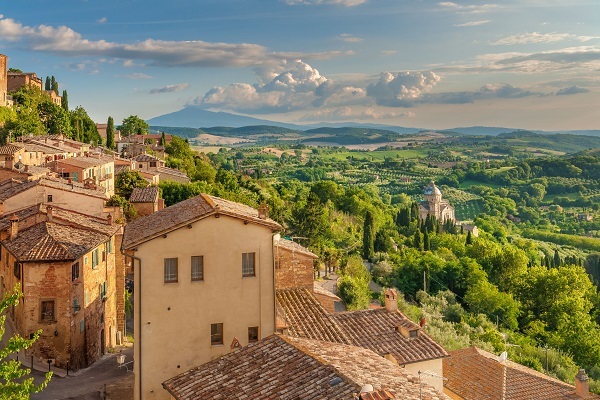 Tuscany offers a gorgeous landscape as well as some of the most charming towns in Italy such as Florence or Siena. Beautiful Tuscany is the perfect frame for an unforgettable romantic elopement to Italy. Many American and British couples decide to get married in Italy. We offer elopement packages for every budget for an unforgettable Florence elopement or Tuscany elopement – completely tailored to your needs. We can arrange your intimate wedding in Italy on a very short notice for civil, symbolic and protestant weddings. We make sure to get done all the paperwork on short notice! Often an elopement is a very small intimate wedding, there are probably no guests invited. We will arrange for you all the paperwork in Italy. We will arrange and plan everything for a legal wedding ceremony in Italy. We will provide you with the photographer, Make-up artist and any other service you request. Ask us for our elopement packages to Florence and Tuscany. Our elopement packages to Italy we can offer for all civil weddings, protestant weddings or symbolic weddings.